Check for fever quickly, safely and accurately! Fever is one of the first signs of the flu. 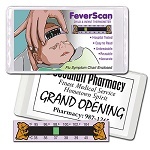 Conveniently check your temperature with these Feverscan Forehead Thermometers. 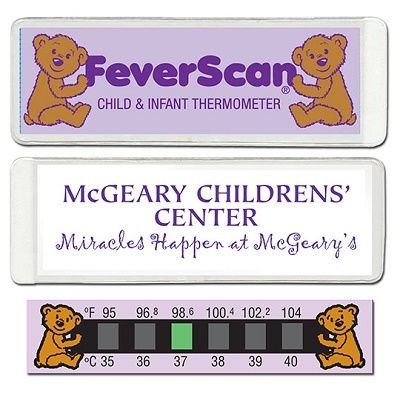 Feverscan temperature indicator has a clear vinyl sleeve with a custom imprint on the instruction sheet. Thermometer is nestled in folded instruction sheet. 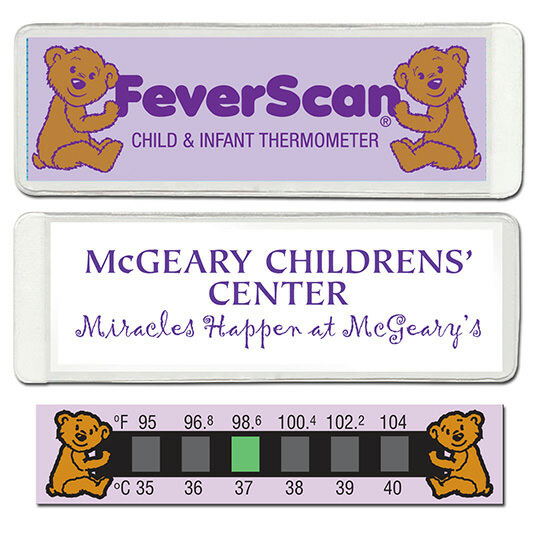 Reusable Dual Scale Baby Bear Feverscan temperature indicator. Place on baby's head for 15 seconds to show if child has a fever. Reusable and Covenient. Fast and Accurate Dual Scale Reading. Good for All Ages.